"It's important to build a personal brand because it’s the only thing you’re going to have. Your reputation online, and in the new business world is pretty much the game, so you’ve got to be a good person. You can’t hide anything, and more importantly, you’ve got to be out there at some level." The world of work has been changing rapidly during the past decade due to increased globalization, the proliferation of online social media, and technological advances which are blurring the boundaries between work and personal lives. However, in the past year because of an incredibly difficult economy, changes have been even more rampant. Layoffs are the word of the day and for the few remaining jobs that are available, the competition is intense to say the least. Personal Branding is about identifying and then communicating what makes you unique and relevant and differentiated for your target audience, so that you can reach your career and/or business goals. If you understand your strengths, skills, passions, and values, you can use this information to separate yourself from your competitors and really stand out. Personal Branding Workshops are designed to bring you up to speed with this new concept in career management. How is your personal brand being perceived currently and does it do justice to who you really are? Are you receiving the recognition you deserve? I will help you identify your ambitions and valuable traits, and implement a strategy to enhance your identity. We will also discuss the tools that will help you differentiate from your competition defining and promoting your digital footprint. Are you an ambitious individual looking for ways to stand out in a competitive, crowded and global marketplace? Or a forward-thinking organization seeking competitive advantage by leveraging your most valuable resource, your employees? Our Personal Branding workshops and coaching services are highly customized to meet your unique needs and help you excel in the age of innovation and social technologies. Individual Personal Branding Coaching: we help our clients re-examine their Personal Branding strategies and choices based on a deep understanding of what motivates them. Personal branding is very powerful because it sends a clear, consistent message about who you are and what you have to offer. A strong, true personal brand helps you become known for what you're good at and sets you apart from everyone else. Corporate Personal Branding Coaching: The new face of corporate is personal: people are the lifeblood of brands. In the age of the individual, corporations must align corporate values and success with those of their employees to stay competitive and maximize human potential. This can heavily influence the image of an organization. I help my clients to learn the art of aligning corporate and personal brands in order to meet the unique needs of their business. Personal Branding enhances your self-awareness. When you go through the Real Personal Branding process, you develop incredible self-understanding about what makes you unique, valuable, and powerful. It helps optimize and flaunt your strengths. Personal Branding helps you clarify and reach your goals. Real Personal branding requires you to be crystal clear on what you want to achieve and helps you set goals to get there. 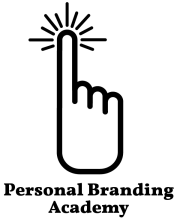 Personal Branding helps you create visibility and presence. Once you know what is unique and compelling about you or your company, you can use that information to create visibility/presence to those people who will help you achieve your goals. Personal Branding is about differentiation. Real Personal Branding will help you differentiate yourself from everyone else who has your job title or who says they are in the same business as you. Personal Branding offers more control and power. Real Personal Branding puts you in control of your business, the clients you have, the projects you work on, and how you want to deliver services. Personal Branding creates wealth. Strong brands charge a premium for their products and services, and differentiated job seekers who know their value can command higher salaries. Personal Branding offers resilience. Strong brands are successful despite challenges and downturns in the economy because they stand for something unique and are differentiated.